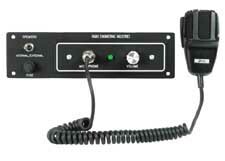 The Following is a list of the types of Radios that we carry. They are made to fit several types of buses. (which include a hand held microphone). Speakers, Antennaes, and Replacement Microphones are Also Available.